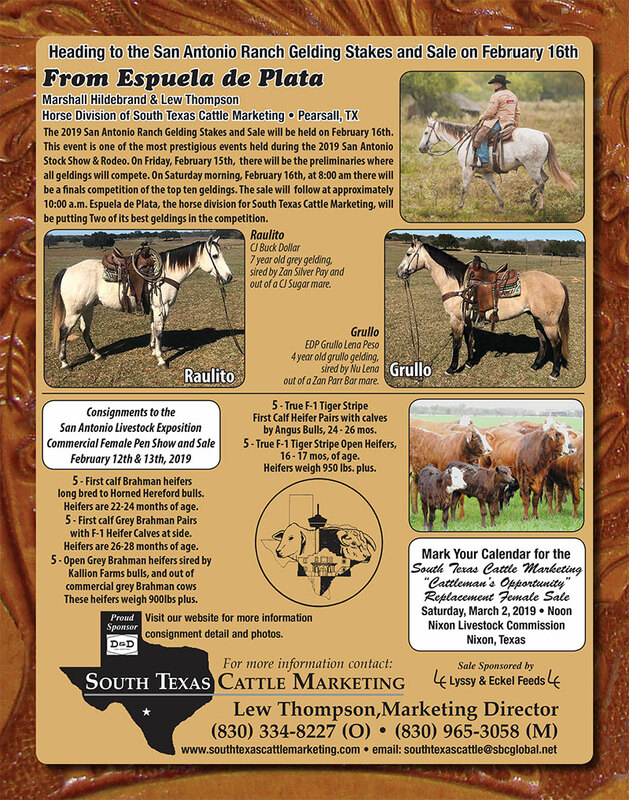 Espuela De Plata is the horse division of South Texas Cattle Marketing, located in Pearsall, TX. A day’s work is required from all of the horses. Mares, versatile enough to go from under the saddle, into the broodmare band. Our horses are well known for their working endurance, hardy enough to withstand the stress of everyday ranch work. We are proud of the quality horses we raise. Standing and pasture breeding three stallions: Gray Magnolia Jack, Zans Roan Manito, and HL Fulla Crackerjack. We breed 25 mares annually and have sold their colts across the nation and into Mexico for working cow horses. We keep 20 geldings in our Remuda; always have good working cow horses available.